Appearing on his Friday radio show with John Gambling, Mayor Michael Bloomberg boldly predicted the New York Jets will be the last team standing in the National Football League this season. "The Jets are going to the Super Bowl. You heard it from me,” said the mayor. “I don't want to jinx them. 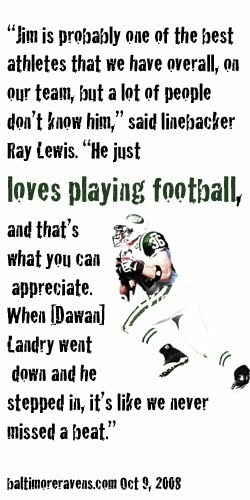 But it was interesting, an article in the paper about Rex Ryan and he's all the stuff he's out there cheering up, this is my target, whatever, that builds the brand and it builds the Jets as an economic value to the city. You know, all this stuff is good. Sports, even if you don't like it, your livelihood depends on it, your tax rates depend on it. We want New York teams to be successful." 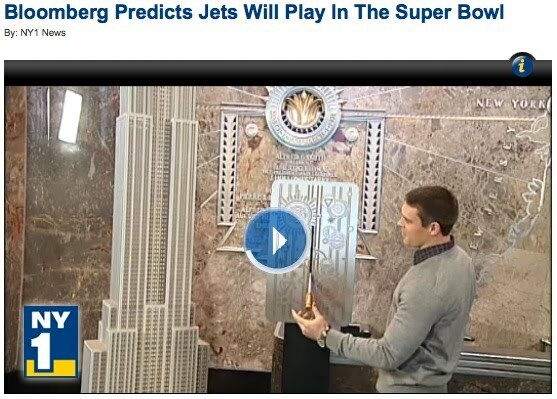 The Jets have a tall task if they want to prove the mayor right. Just to get to Super Bowl XLV, the Jets have to win two more games, starting with their match-up against the heavily favored Patriots in New England on Sunday. 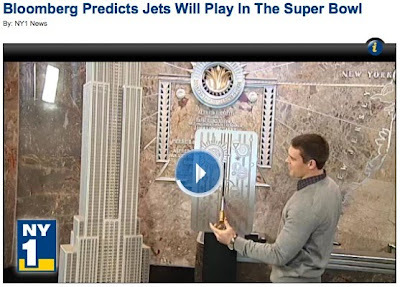 Meanwhile, the Jets are getting some team spirit from one of the city's most famous skyscrapers. The Empire State Building will be lit green and white through Sunday night. Jets safety Jim Leonhard was on hand to flip the switch Friday. "The guys are putting the finishing touches on a great week of preparation and looking forward to going up to New England to get us a W," said Leonhard. "Like I said, I am very honored to be here and would like to thank the entire City of New York for having our backs, and obviously everyone here at the Empire State Building showing their support." The last time they played, the Patriots beat the Jets 45-3.
wow that must have been fun Jim! Oooh the power!